The obstinacy of a Caen and the testimony of a Lexovian allowed to update the wreckage of a plane shot in June 1944 above Lisieux. This discovery also identified the American pilot who died in battle, Lieutenant Raymond G. Philips. His co-pilot and friend, still alive, went to Lisieux to pay tribute to this companion, still missing in the United States. On June 10, 1944, a plane crashes in Lisieux after a terrible aerial combat. “We have just found the clock on the dashboard, the needle is stopped on 11:30”. Fabrice Corbin, curator of the Atlantic Wall and head of a military archaeological research group, would never have found the trace of this “Mustang” without the help of Fernand Landemaine and Pierre Crevel. 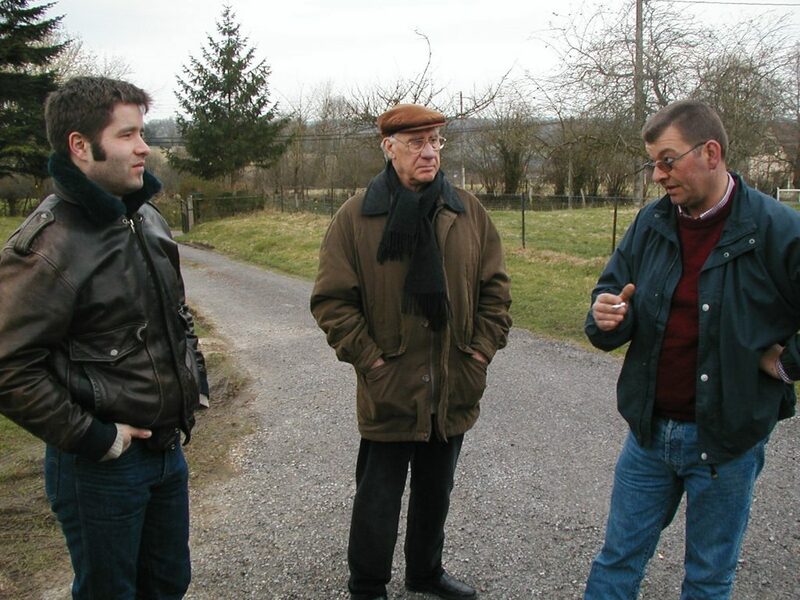 The first, a Caenian passionate about history, remembers the story of his friend Lexovien when he discovered the call to witness Fabrice Corbin, in the press, on the occasion of the commemorations of the 60th anniversary of the landing. “I’m looking for people who are being revived in this way for the blood they have given to our land,” says Fernand Landemaine “We must not forget those people who have made us free”. When the first traces of the aircraft belonging to the 352nd fighter group are found, it is also thanks to the precise descriptions of Lexovien Pierre Crevel: “When the plane crashed, I lived in a farm located a few meters From there I saw the aircraft that had just been shot out of the clouds, I came across grass and saw the pilot who had not activated his parachute, a ball land, but I did not stay long, the Germans arrived “. For years, history as the plane remains buried. “Thanks to the license plate, which we found on the 2nd day of the excavations, we contacted the American authorities and, in 24 hours, we knew the name of the pilot, still missing in the United States, reports Fabrice Corbin not without specifying that “all this information was given to us very quickly and without any frilocity by the American authorities.” Some exchanges on the internet finally allow to better understand the disappearance of Lieutenant Raymond G. Philips whose body was never found “We would like to know what has become of him. A witness could still manifest … “. Sad fate as that of a young 27-year-old American who died in the middle of a fight, when he rejoined Le Havre aboard a plane that was not even his. “It was Lieutenant Dyle’s usual mount, Philips was flying another plane in general, and this is the first time he’s been flying a plane like this, and we’ll know more about it, by receiving Robert Powel, co-pilot and friend. of Lieutenant Philips, who could be accompanied by American veterans.For the moment, Robert Powel is looking for the trace of the family of Lieutenant Philips “.